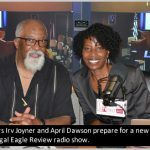 The Legal Eagle Review on WNCU 90.7 FM is an informative and thought-provoking weekly show covering legal issues affecting everyday people. Irving Joyner and April Dawson, law professors at North Carolina Central University School of Law, host this one hour program. They invite knowledgeable guests to share useful and interesting information on important legal topics of concern to the local community, the state, and the nation. The show airs Sundays from 7:00 p.m. until 8:00 p.m. on WNCU 90.7 FM. 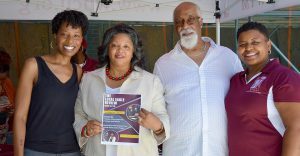 The Legal Eagle Review is made possible by funding from the NCCU School of Law, and the Virtual Justice Project.